Deadpool FINALLY gets hired for a job! There's a missing hard drive, and whoever gets it could very well own the world! Naturally, our Merc With a Mouth is going to find it first, right? Well...only if he can outwit that superspy known as the CAT, and slide by the undulating charms of three gorgeous and deadly snake chicks. Plus: Cable sees the signs -- omens and portents -- characters gathering, moving across the board like chess pieces...can Apocalypse be resurrected? 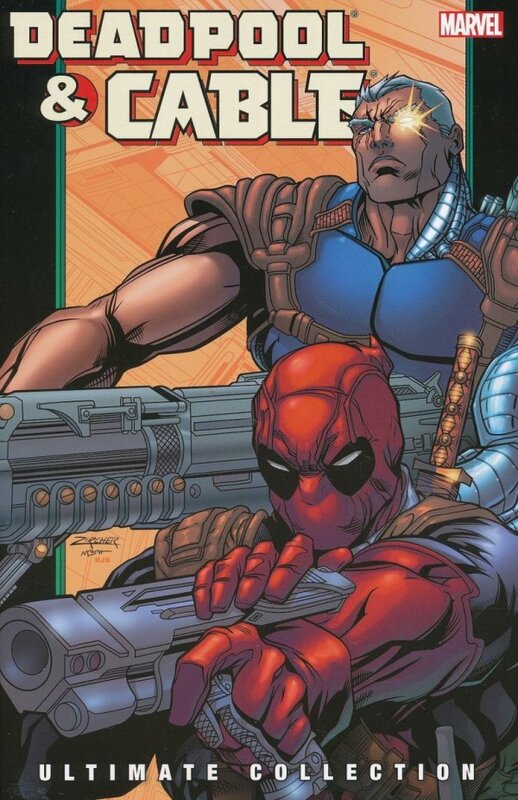 Can Cable and Deadpool stop it in time? And, with CIVIL WAR tearing the Marvel Universe apart, only one man can sew it back together: Deadpool!? 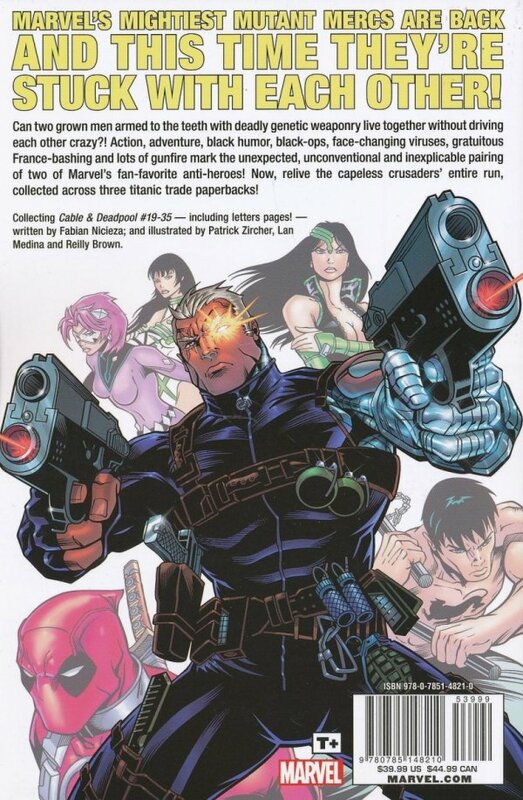 Guest starring Domino and Captain America. Plus: this edition comes complete with all the hilarious letters pages, never before reprinted!